Kathy is the founder and owner of the successful Abundant Feng Shui Creations business headquartered in Tampa, Florida. Kathy built this enlightened company with her more than 20 years of experience in delivering powerful, professional, and personalized Feng Shui consulting and education. Kathy's extensive background assures that her clients receive the most in-depth benefits offered through extensive Feng Shui practices. She is the most qualified and authoritative Feng Shui professional in the Tampa Bay area, working exclusively in the Black Sect Tradition of Feng Shui. Her skillful guidance makes a long-lasting impression on her numerous clients. In fact, more than 65% of Kathy's clients return as satisfied customers using her services and all their homes, buisnesses, and real estate transactions. She has consulted on thousands of homes and businesses throughout the world. 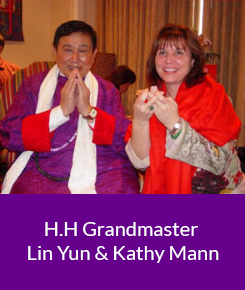 Since 1995, Kathy has been teaching and speaking on Feng Shui. In 1997, she began teaching a training program. As her level of knowledge increases, and especially in recent years, H.H. Grandmaster Lin Yun gave more precious information that has not be given before, and she has created advanced classes for practitioners who are not able to travel to the various classes. Recently her passion to help people get the 'right' information as inspired her to create nuggets of information on any given aspect of Feng Shui. If a client needs a career adjustment, space clearing technique, wealth enhancement, methods to help in healing a specified condition, a front door cure, the real estate package, or simply wants all information possible on the stove, they can acquire it. From a professional perspective, Kathy has a strong sense of ethics and integrity in her relationships. Her work style is described as results-oriented. She is known for her down-to-earth style in relaying information to clients and students without losing the integrity of the work. Kathy is recognized for her fast processing of space details that affords a quick, proficient analysis for clients. 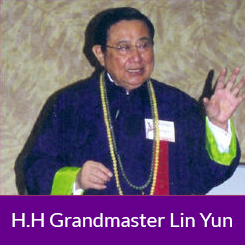 There is so much that can be said about His Holiness Grandmaster Lin Yun. His life was dedicated to empowering and helping people all over the world. He was invited regularly to speak at the United Nations. He was an international healing presence. His student Sara Rossbach wrote "Interior Design with Feng Shui" based on his teachings, which was the catalyst for people all over the world who use Feng Shui today. It can enhance your life in many ways. His teachings are rich with practical and mystical ways that people can improve their lives. Get to know his teachings more by visiting his website. Feng Shui is an ancient art Kathy is bringing into our digital age. Based in Tampa, Florida, she's dedicated much of her life to helping others realize and use the power of Feng Shui to improve their lives and careers.